How many of you love italian food as much as me!!? Unfortunately it loves my waistline too. I made up a really wonderful recipe that will leave you saying WOW! It's a perfect light recipe for Fall! I'll walk you through this wonderful recipe. Heres there recipe to try Darlings! Preheat oven to 450 degrees! Cut squash in half length. Spoon out seeds. Sprinkle salt and pepper over halves and drizzle with olive oil. Place in the oven for 45 minutes. Put olive oil in a Dutch oven. Add carrots and shallots and cook until tender. Sprinkle with salt and pepper. Add 1 T of garlic! Should be smelling dreamy! Cook one minute longer. Then add jar of pasta sauce to simmer while your squash is in the oven. I love adding fresh herbs like basil, Thyme, and Oregano. I'm the type of cook who adds herbs and keeps tasting until I'm in love! Let this continue to simmer on low. 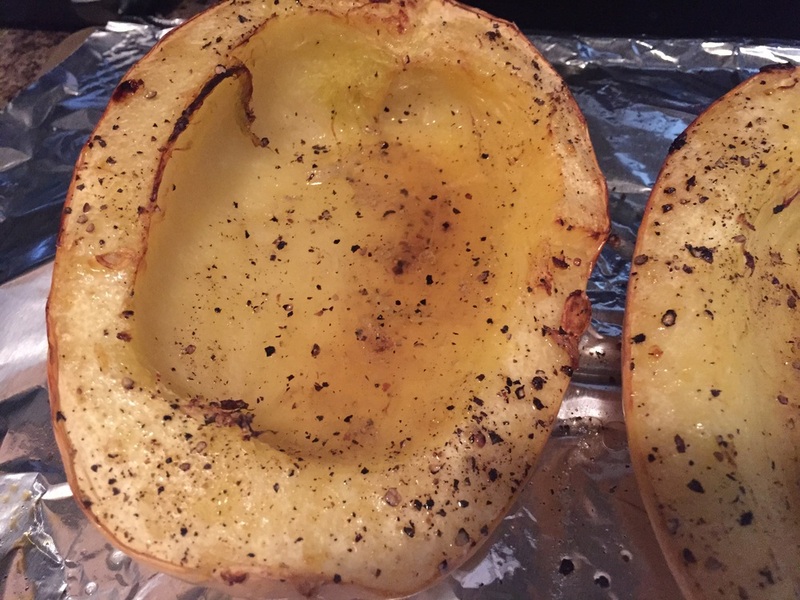 Take Spaghetti Squash out of oven. Let cool for a few minutes. Then to the magic! Take a fork and start scooping out the squash which resembles spaghetti noodles on you our plates. Top with sauce and fresh Parm!